March 2018 Club Round Report…..
Firstly welcome to all that signed on for the club 2018. New Members to the Club , Nelson Stevens & Kye Martinovich. Last Sunday the 18th March was a deferred round from the previous Sunday washout. 36 signed up to surf, making it a mega round. A pristine weekend was with us , so Sunday at Lennox Main Beach was a treat, with a incoming tide 3 to 4 ft waves on the sets. The setting was Primed for a good round. 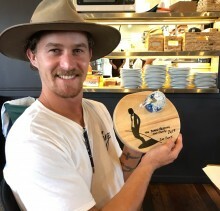 The Firsts Final was a treat of Longboarding with stylish Logging matched against Modern Longboards. The young guns dominated the day, with Ben O’Dwyer winning it closely behind him Kye Martinovich & Alex Glassington . Scores were razor close .Some classic Longboarding pics were shot from the foreshore. It was quoted as a final worthy of any top contest. 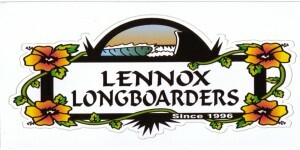 Winner of the the Lennox Surf vouchers for this Round were, Grant Ryan & Bob Mills, Thanks to Lennox Surf Shop. Our Next Club round is April/ Sunday after Easter. Sunday 8th. Firsts . 1. Ben O’Dwyer. 2. Kye Martinovich. 3. Alex Glassington. 4. James Foster. 5. Nelson Stevens. 6. Greg Gover. Seconds. 1. Chris Cain. 2. Robert Rye. 3. Steve Walshe. 4. Jake Ryan. 5. Steve O’Neill. 6. Andrew Thomas. Thirds. 1. Peter Regan. 2. Gary Alford. 3. Eleanor Robertson. 4. Grant Ryan. 5. Jim Baker. 6. Tom Silver. Fourths. 1. John Eddy. 2. Emily Simmonds. 3. Nick Mitchell. 4. Terry Kay. 5. Adele Purbrick. 6. Mal Lewis. Fifths. 1. Peter Briggs. 2. Veronica Silver. 3. Celine Walshe. 4. Bob Mills. 5. Meg Smith. Sixths. 1. Wayne Booth. 2. Reuben Greentree. 3. Kate Ashdown. Surfing Round 1 Only , Liz Petterson & Dave Atley. Board Meeting Charity Event ,Lennox Head Sat 30th March. Tribute To The Lennox Ladies @ THE YAMBA SINGLE FIN EVENT. June 2018 Club Round Wrapup….